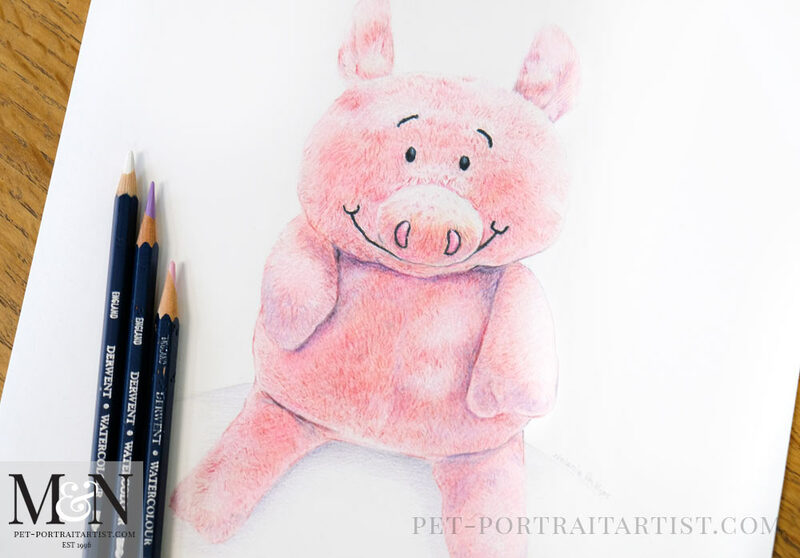 Welcome to my latest artwork of a cuddly toy drawing of Piggy. 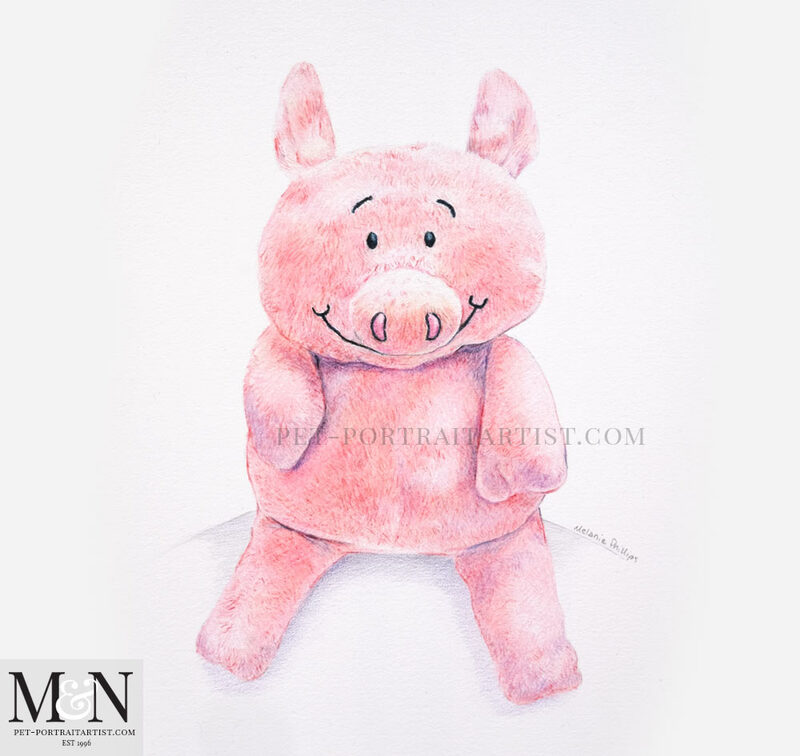 I absolutely loved drawing Piggy for returning client Jo from the UK, it was so much fun. 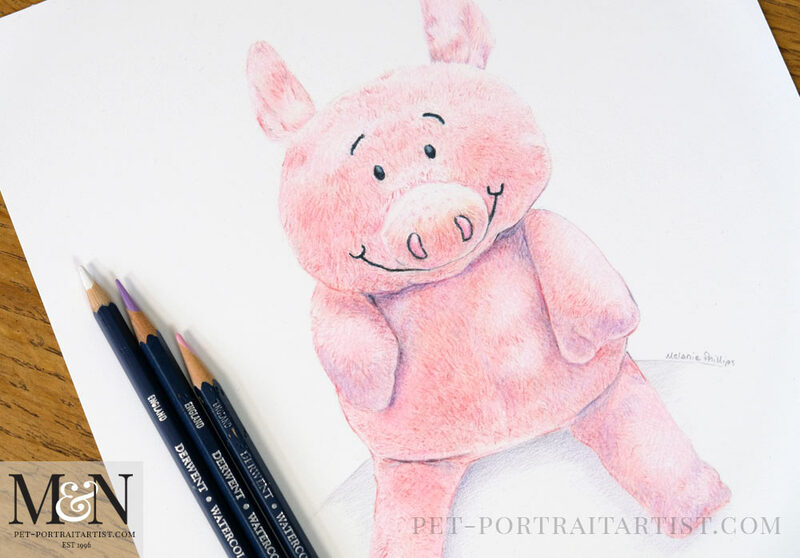 Jo commissioned the drawing of Piggy as a gift for her niece for Christmas. The drawing was completed by myself in coloured pencil. 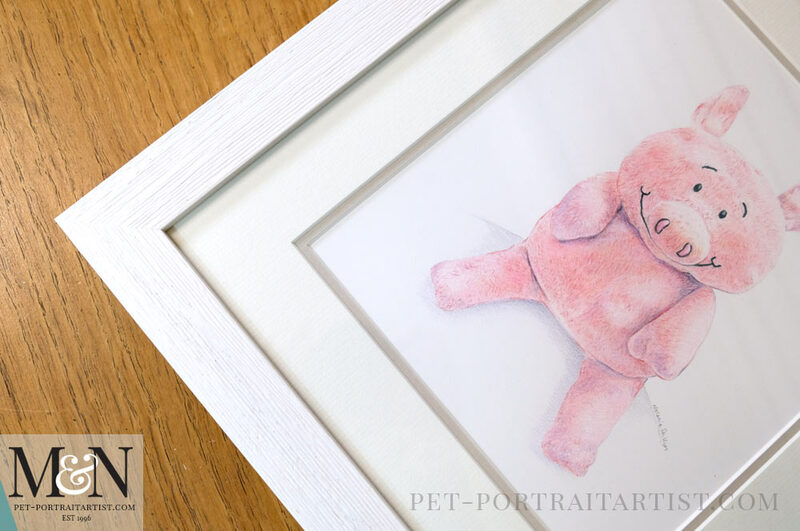 I used to offer coloured pencil as a medium many years go, however I found that I much preferred to portray animals – dogs, cats and horses in graphite pencil. Thats what I decide to specialise in for my professional commissioned work. However! I still love the medium and I really enjoy using it for other subjects. It worked so well for Piggy. I used Derwent watercolour pencils which are wonderfully soft, along with a few other pinks and purples from other sets that I owned. 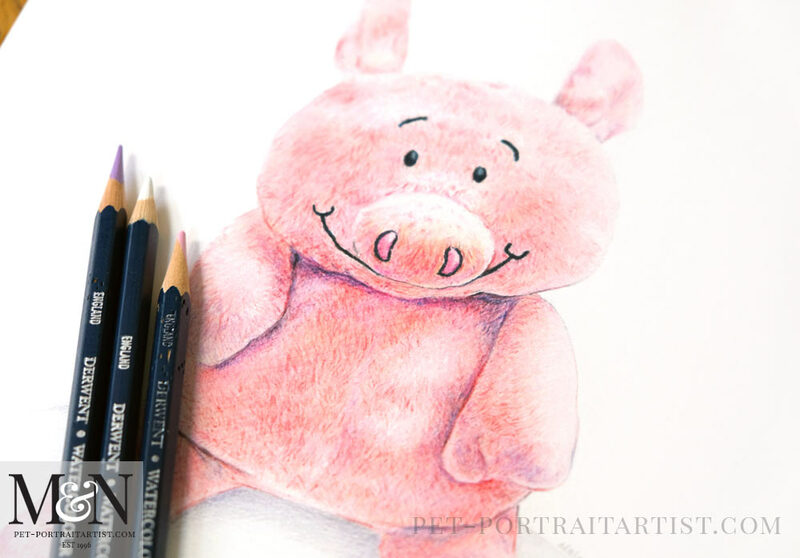 It was very important to find all of the pinks, pale blues and purples that I had to complete Piggy’s portrait! Once completed it was then framed by our wonderful framer Amanda. Scroll down to see photos of the completed portrait. 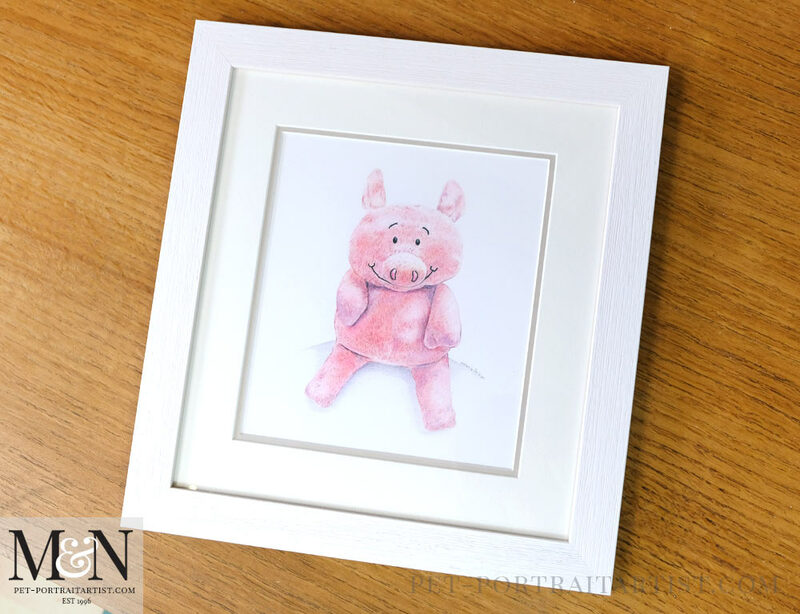 If you have a cuddly toy your niece or nephew or son or daughter has that you would like drawn for their bedroom, just drop me a line. 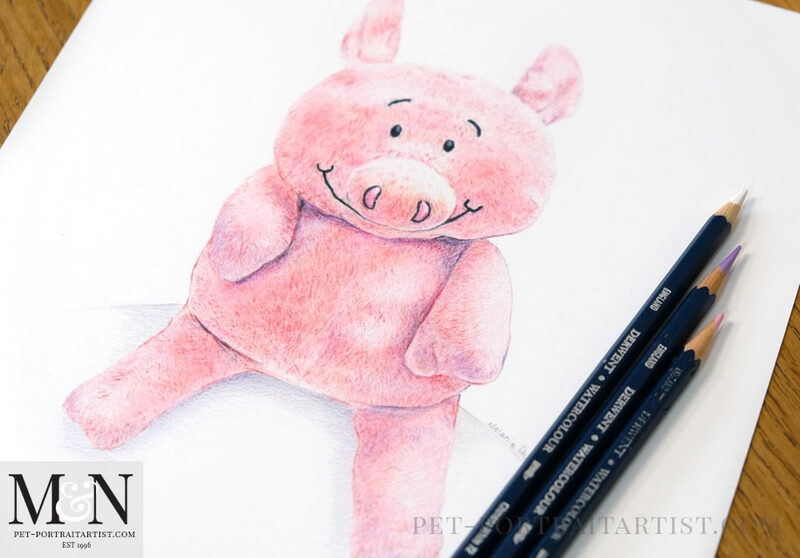 It doesn’t have to be a child, we know many adults who still love their cuddly toys from when they were children. So why not commission your own coloured drawing for them! He is gorgeous! I love him. Isabella will adore him and I think everyone else in the family will too. You have captured his personality perfectly 🙂 This makes me smile. I am so excited- can’t wait to see him. He is Isabella’s first and favourite toy and it means so much to me as it was me who bought him for her when she was a few months old. Thank you so much. Piggy has arrived safely! Oh my word- he is gorgeous. I absolutely love the portrait. Thank you so much. He is very special. I will take a photo of him with Isabella to send to you. Thank you once again – I keep smiling whenever I look at him. It is wonderful. 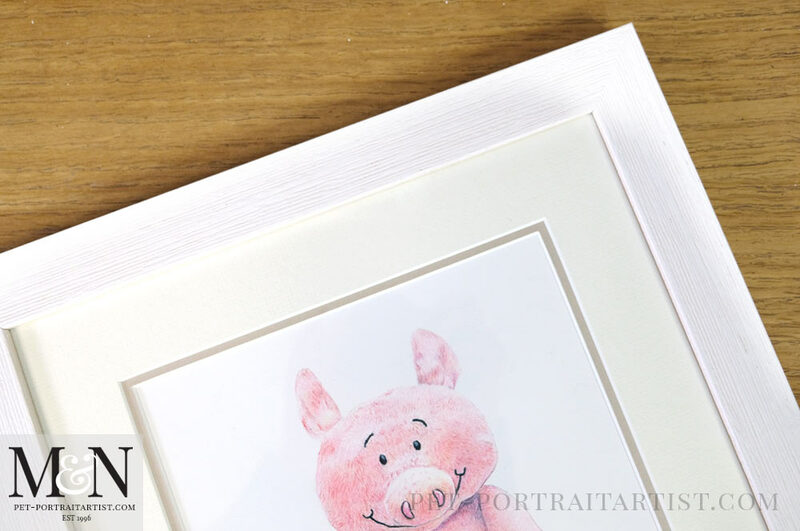 Jo asked if we would be able to frame the cuddly toy drawing of Piggy for her in a light coloured frame. Our framer Amanda sent me some photos of a few different frame choices from her framing shop with some different mount colours to choose from too. 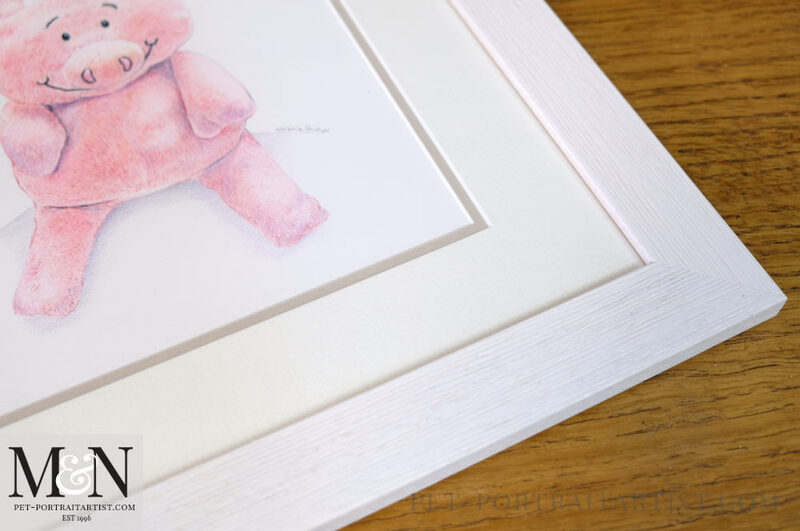 Jo opted for this very classic white frame with wood grain detail and the mixture of the Hayseed texture mount on top with a mushroom coloured inner mount. 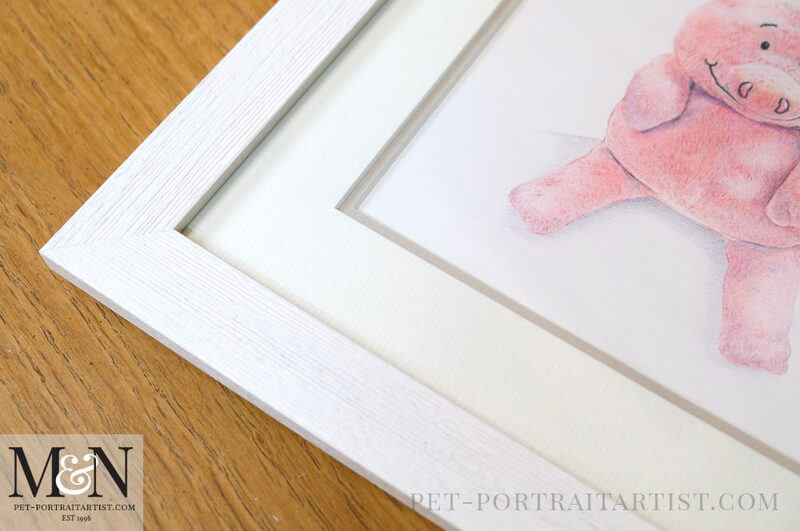 The colours work beautifully with the frame and the portrait, it sets it off so well. We are always thrilled with the frames from Amanda – we couldn’t be happier!